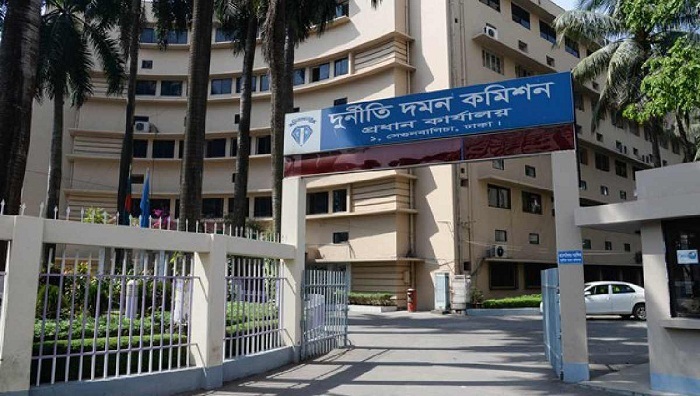 The Anti-Corruption Commission (ACC) on Monday attached the asset of Afzal Hossain, an accountant of Medical Education Department of the Directorate General of Health Services (DGHS), on corruption charges. With this, the Asset Recovery Unit of the national anti-corruption watchdog has launched its formal journey. An ACC team, led by unit Director Khandaker Enamul Baser, started the confiscation activities hanging a notice in front of five-storey building, Tamanna Villa, at Road-11 of Uttara Sector-13 in compliance with a court order. According to the ACC, Afzal allegedly accumulated huge wealth, including five houses in the capital and one in Australia. As part of the drive, the ACC team will also confiscate Afzal’s other assets in Khulna, Faridpur and Rajbari. On January 21 last, Dhaka Metropolitan Sessions’ Judge Court ordered confiscation of all the moveable and immoveable property of Afzal and his wife Rubina Khanam as well as to freeze all of their bank accounts in a case filed by the ACC. Earlier on January 11, ACC deputy director M Samsul Alam interrogated the couple for around seven hours at its head office and found the evidence of accumulating huge illegal wealth against them. Afzal’s wife has also been working as a stenographer at the same office since 1995. According to the ACC, Afzal amassed the wealth misusing his power and taking bribe from candidates by ensuring jobs in different government and private offices. Earlier, the ACC imposed a ban on Afzal’s foreign travel and the couple went into hiding immediately after the grilling. The Health Ministry on January 14, 2019 suspended Afzal Hossain on charges of corruption. Although Afzal was a fourth-grade government employee, his five houses, including one in Uttara, several plots and a house abroad, were inconsistent with his income, said a letter issued by the Health Ministry on January 13. Besides, the ministry asked the authorities concerned to carry out a departmental investigation against him.